It’s 2018, and Solaric rules the rooftops. Solaric is unlike any other company in the ever-growing solar industry of the nation. Solaric delivers cost effective power through clean, safe, and renewable energy. The solar options—such as the solar system in the Philippines—being offered are economically sensible and environmentally sound. They deliver sustainable energy systems nationwide, available to every homeowner, business, school, non-profit, government, and non-government organizations in the country. Solaric has installed thousands of panels in thousands of homes, factories, buildings, warehouses, military sites, and commercial and industrial sites all over the Philippines. Solaric has taken the lead in large scale commercial and residential installations, as well as solar equipment sales. No other solar entity can keep up with their pace, and installation rate accelerates each year, leaving rivals scratching their heads and wondering why they can’t seem to keep up. In November 2013, one of the strongest tropical cyclones ever recorded in world history rocked the Philippines. Typhoon Haiyan (also known as Typhoon Yolanda) was referred to as the country’s deadliest typhoon, being the strongest storm recorded at landfall and the strongest typhoon ever recorded in terms of one-minute sustained wind speed. Yolanda devastated most of Surigao, Eastern Samar, and Tacloban City, bringing their inhabitants to their knees. By heart, Solaric was called to duty when catastrophe struck. All existing inventory was reallocated to relief efforts. There were absolutely no expectations of getting paid. In Tacloban and Malapascua, Solaric embarked on a mission to energize schools, churches, homes, and relief centers where there was no grid, no diesel, no funds, and no government support. Solaric delivered power in the worst possible operating conditions when others would not, or could not. Why? Because the truth about Solaric is that they are passionate about turning on the sun and making a difference in people’s lives. This volunteer effort gave birth to a ripple effect that became the solar trend. What distinguishes Solaric? It is actually an interesting combination of several major elements. 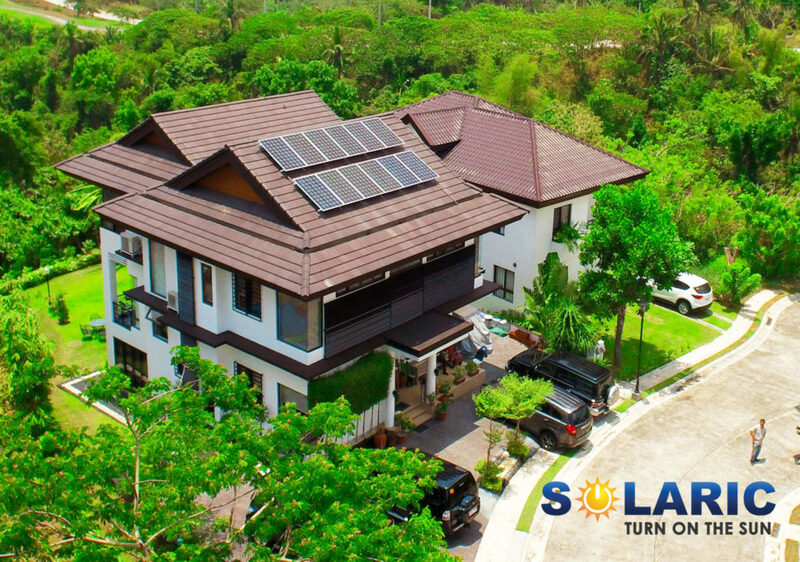 Solaric guarantees solid solar systems in the Philippines; they fastidiously protects their reputation with engineering excellence. They take pride in declaring their systems as reliable as the sun, and take great efforts in providing their clients with continuity of service. On top of that, they offer “no-nonsense” warranties. Solaric is the all-in-one solution. They perform the entire process: inspection, engineering, design, procurement, construction, and installation. Solaric offers integrated, customized solutions. They examine the clients’ energy usage, identify cost-cutting opportunities, and provide tailor-made solutions that are designed to address the specific needs of each and every client. Solaric guarantees systems that are affordable and cost effective. With reputable industry partners, Solaric extends the best possible prices, warranty, and after-sales service. 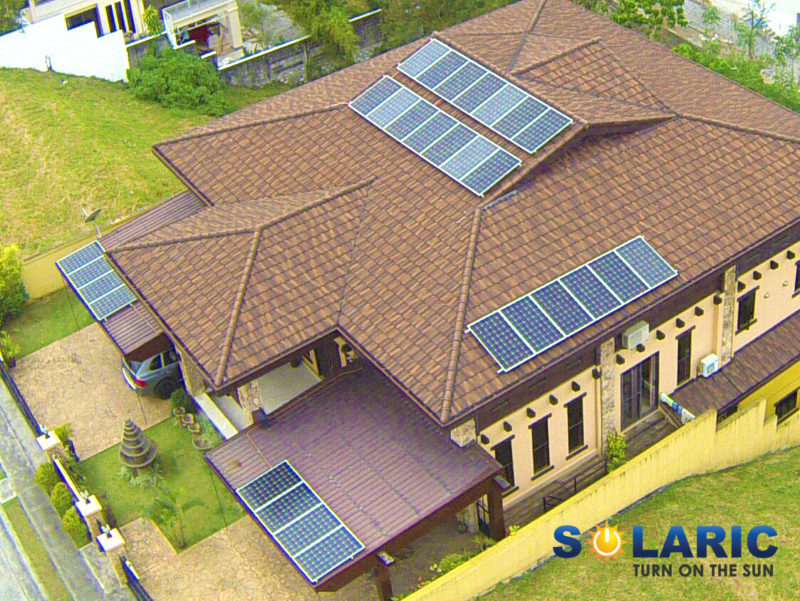 Solaric offers the best value for cost. They install solar that will maximize your value. Solaric offers its clients only the best products at the best possible price. Their systems result in significant cost savings and bill reductions. Their main goal is to reduce your power bill by using proven PV technology. 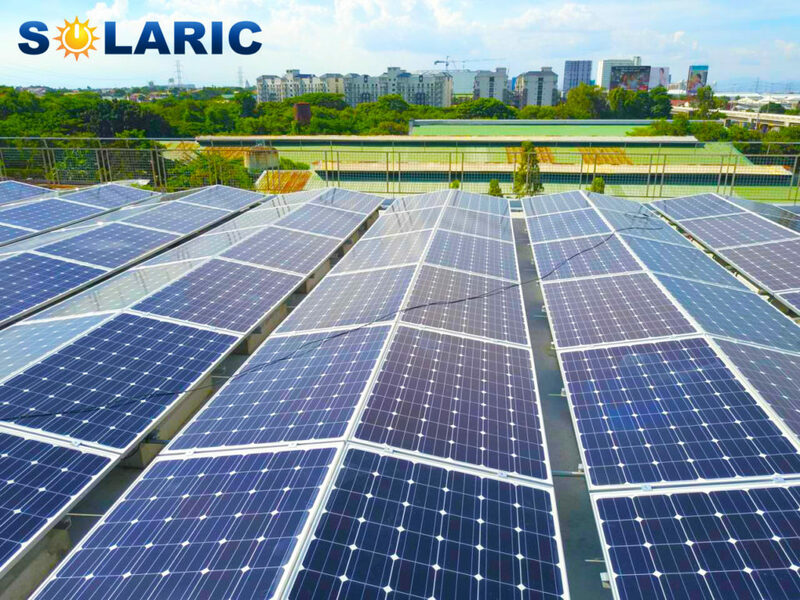 Solaric was the first to obtain the ERC’s “COC” in the Meralco Franchise area, and they have installed the first utility recognized grid tie solar installations in many cities throughout the archipelago. The Solaric headquarters is completely off grid. It was built from 100% recycled materials. It operates primarily on solar power, and has a rainwater and aircon water collection system. Solaric is composed of the most experienced clean energy project management and installation teams in the country. Solaric engineers serve clients all over the Philippines. Their people are creative and engaged – everyone goes the extra mile (or extra watt). A closer look takes us to the core of their company culture, which is really about the constant pursuit for excellence. “One of the most important lessons that we’ve learned in the last five years is about setting the bar. What we really did was show you how to raise that bar, because mediocre is never acceptable. So now you have that extraordinary Solaric DNA inside of you. That is how we’ve reached such spectacular levels of success. And that is how we keep thinking about bigger, better, brighter. So take that insane momentum, and continue to fuel it, until your contagious passion for excellence has infected each and every single person you interact with. There will be mistakes and challenges. But we have to learn from these and rise up, because that is exactly how we will keep our legendary status,” wrote Solaric Vice President Jade De Guzman, in her mid-year email to the employees. Solaric is transforming the nation. Solaric is helping Filipinos usher in the era of solar energy and sustainable living. This is how and why Solaric has become king.